Pressure transient signals captured are imported in HYDROSURGE any time a new significant hydro event happens by using the Data Conversion Module . Pressure transient capture is ensured by disturbance recorders who isolate the transient signal in the continuous flow of information from the pressure sensors. Self sustained cyclical pressure fluctuations. Pre-trigger enable the pressure recording just before threshold overcoming for a better hydro diagnosis. 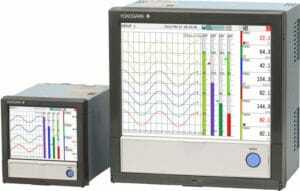 Mothrys interfaces with 3rd party disturbance recorders, like Yokogawa GX system, to ensure effective transient signal measurement and recording.